DIY Nails: Tips & Tutorials: Not all polishes are going to look good.. Even though some may be more expensively priced, not all brands will look good on your nails. The consistency, shine, and thickness are all aspects that determine whether the polish will look good or AMAZING on your nails. I've tried quite a few different brands, and I've found that some look much better than others. I like polishes that aren't too runny, as they require fewer coats and tend to look more professional on your nails. The more coats you apply, the sloppier your nails tend to look, and that's not the look you want to go for! I was really excited about the brand Nichole by O.P.I. because the colours are so pretty and unique. I was disappointed after trying it though, because in order to get the polish to look like the colour its appears to be in the bottle, I had to apply three coats. It's just way too time consuming, and although the end result turned out to be quite pretty, it just required too much effort. 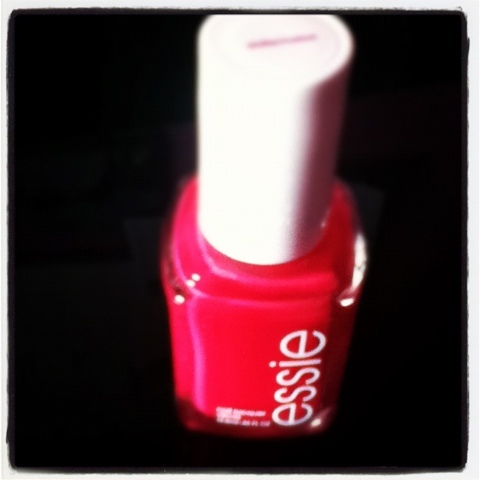 The brand that I would most recommend would be Essie. It's my favorite because it is affordable ($8 to $10 depending on where you shop), and you only need to use one coat to achieve desired results! It goes on very smoothly, and usually lasts quite a few days before it starts to chip. It also dries pretty fast, and comes off much more easily with polish remover than other brands. If you want professional looking nails fast, I would recommend this brand to you, it definitely delivers!